Is there any paperwork or document for the mechanical systems of 5854 Conc 2, Adjala Tosorontio, Ontario? I need more information about the property at 5854 Conc 2, Adjala Tosorontio, Ontario. How ist the neighborhood, location and nearby amenities for 5854 Conc 2, Adjala Tosorontio, Ontario? I have questions about the roof, foundation, insulations and mechanical issues of 5854 Conc 2, Adjala Tosorontio, Ontario? I need more information about property details. What's wrong with this house? Is this a short sale? Is there any maintenance for 5854 Conc 2, Adjala Tosorontio, Ontario? What is this property worth in today's market? What are "closing costs", and how much? What steps should I take when looking for a home loan? What price home can I afford? Is my credit good enough to buy this house? What are the best mortgage options for me? How flexible is the seller on the asking price? How low can I consider offering for 5854 Conc 2, Adjala Tosorontio, Ontario? 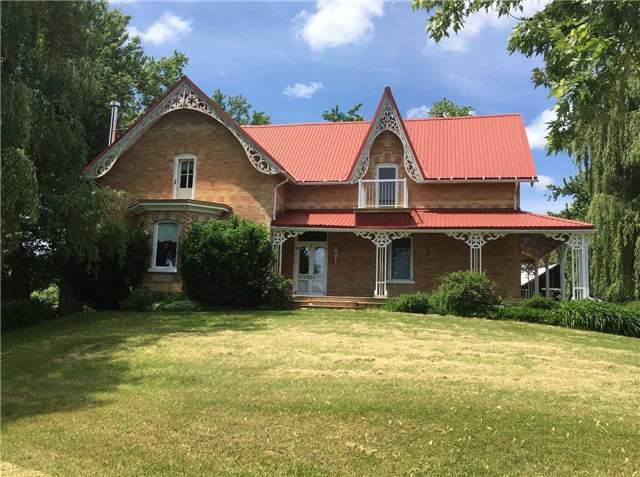 Enjoy The Tranquility In This Beautifully Restored 4 Bdrm Victorian Farm House. This Home Boasts A Large Country Kitchen, Formal Dining Rm, Living Rm W/Fireplace, Den & Family Rm All On The Main Floor! Gorgeous Views Yet Just Minutes To Alliston, Hwy 50 & Airport Rd. Please Note-4th Bdrm Has Been Converted To Laundry Rm. Lease Term Flexible. Aaa Tenant-No Smoking. No Pets. Shed, Drive Shed & Appliances Are Included For Tenants Use. Bank Barn & Farmland Directly Behind House Can Also Be Included At Extra Cost. Perfect For A Small Hobbie Farm!